Being honest to goodness foodies and reluctant romantics at heart, Me and Dennis often enjoy scouring the Metro for establishments to celebrate our weekend dates at. Before a restaurant receives a stamp of approval from us, it must first undergo a certain criteria. Premio doesn't only live up to our criteria, it exceeds our expectations. 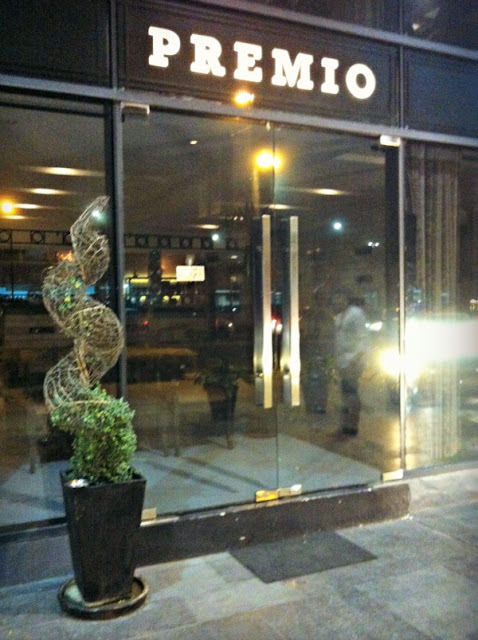 Located at the ground floor of the F1 Hotel at Bonifacio Global City, Premio is easily accessible while at the same time maintaining a certain level of exclusivity by setting itself apart from the busy streets of nearby commercial areas. Being the "baby" of restaurant owner and executive chef Francesca Carino, Premio is a place where details are tended to the same way a mother cares for her child. Food is meticulously plated and each morsel is perfectly cooked using only the best and freshest ingredients straight from the farms. Nothing out of a can or packet will be found in Premio's kitchen as they strictly adhere to a "farm to fort" policy. 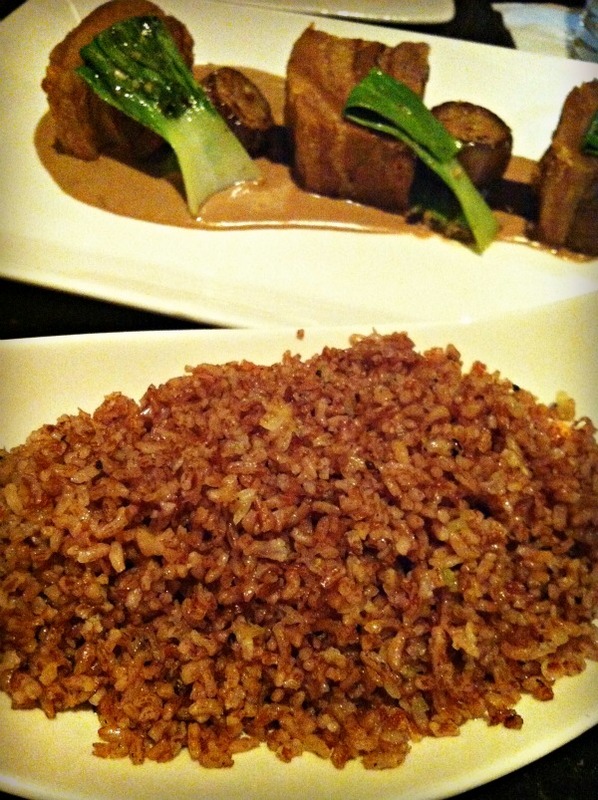 A policy which deliciously translates into sumptuous dishes. Some of my favorites from their menu are the buffalo wings, smoked salmon blinis which are just divine... (imagine a balanced amount of sweet, salty and tangy plus an equally pleasant combination of different textures in one perfect bite), and the animal fries which were patterned after In-N-Out Burger's famous french fries. 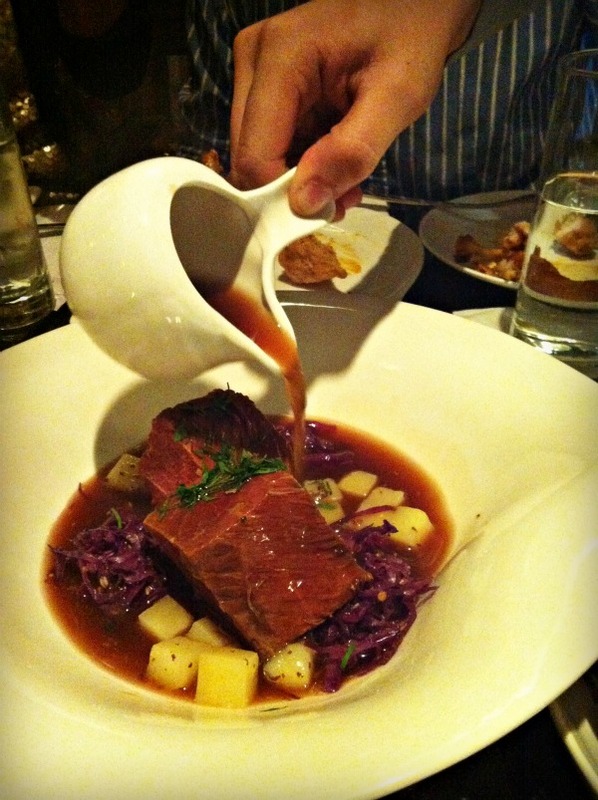 For your mains, I suggest going with the Corned Beef Brisket which is served with homemade soda bread that is perfect for dipping in its to-die-for broth. However, if it's one of those days where nothing else will suffice but rice, then the Pork Belly Kare-Kare is a must try for you. Served in a modern way but still managing to stay true to its Filipino comfort food roots, each order is big enough to share between two hungry adults. After all that food, you must find room for dessert since Premio's offerings are too irresistible to pass up. The Floorless Chocolate Cake and the Creme Catalana are super moist and will have you salivating for days. Once you're done with dinner, wash it all down with some drinks at their second floor which boasts a private room and bar that serve a variety of liquors, both imported and local beers at very reasonable prices. Also, don't forget to try Premio's own signature house wine which perfectly compliments all their dishes. At around P600-P1000/head for food and drinks, Premio is an ideal place for a special night out with your partner or friends. Its modern and chic interiors make a perfect backdrop for the young and stylish set of Manila. Premio is a hidden gem, a true prize just waiting to be discovered by you. Premio is open for lunch, coffee, dinner and drinks. Wanna Wine and Dine at Premio For FREE? One lucky Fashion Eggplant reader will get the chance to win P2000 worth of Gift Certificates to Premio! 4. Leave a comment on this post with your name, email ad, gfc name, and tweet/facebook status url. Hope to win. The foods look delish!! !